Who is General Tso and why are we eating his chicken? The curious tales of American Chinese food. This is kinda like my victory song. Link. Lip Dub – Need You Tonight by INXS from sarahlane on Vimeo. Videos: What is St. Elmos Fire? 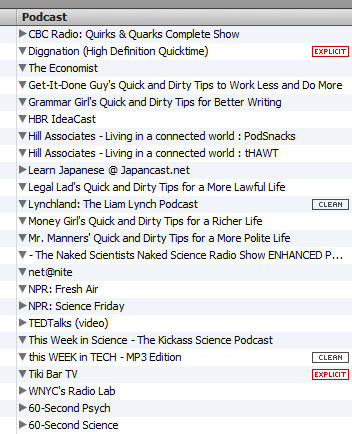 Tech Tip: What are your podcasts? Why have I been out of town this week?